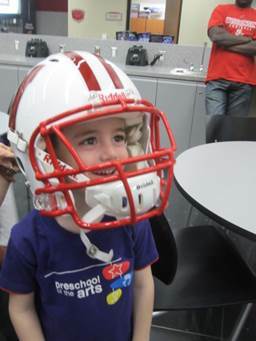 The Snowflake Room toured Camp Randall Stadium on the University of Wisconsin-Madison campus on May 1st. What an exciting day! Our first stop was the visiting team locker room, which we learned is painted a pale blue because it is a calming color. The kids enjoyed eating their snack while sitting on player stools in the lockers. Next we toured the brand new facilities for strength and conditioning and sports medicine. 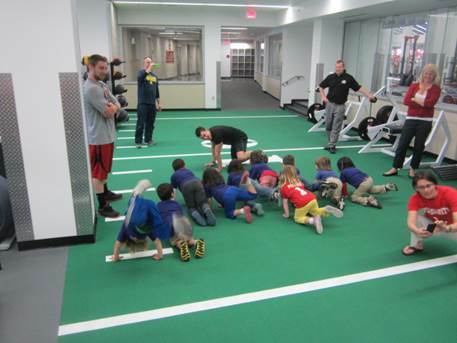 Coach Alex and Coach Billy led the kids through the Badger football team’s pre-game warm-up routine which include jumping jacks, stretches and push-ups. We also saw the players’ nutrition bar, and learned they eat healthy snacks like apples and bananas so they are strong and have lots of energy to play sports. 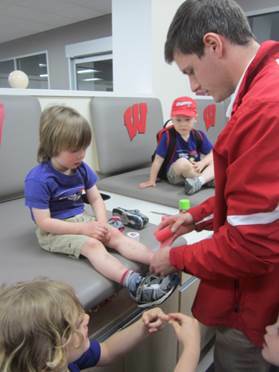 Athletic trainer Nick then showed the kids how he tapes ankles– Luke was an excellent patient. 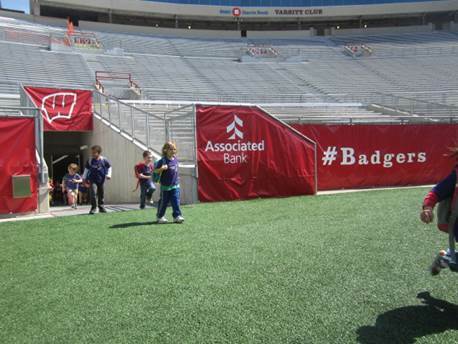 The day ended with a thrill as the Snowflake Room kids were able to run out of the players’ tunnel and onto the field where the beloved Bucky was awaiting them! 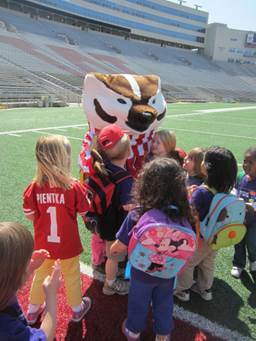 Lots of hugs and pictures were shared with Bucky, as well as races across the field. It was the highlight of the day. Their energy spent, the Snowflake Room kids, teachers and chaperones enjoyed a picnic in Hall of Fame Park. 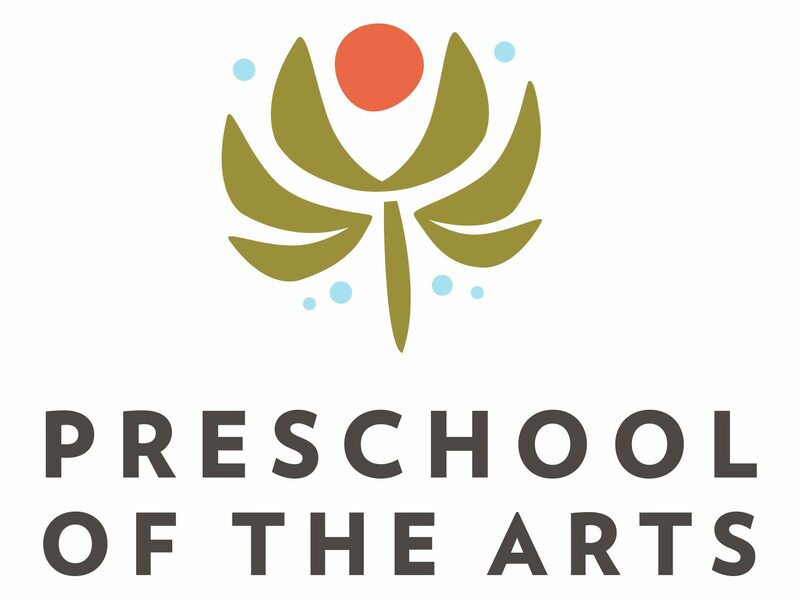 What a wonderful experience!